The following comes from the Alliance Defending Freedom. LANSING, Mich. – Alliance Defending Freedom attorneys representing an organic farmer in Michigan filed a federal lawsuit Wednesday against the city of East Lansing after officials ousted his family business from the local farmer’s market, where he has done business since 2010, because city officials learned he believes marriage is the union of one man and one woman. 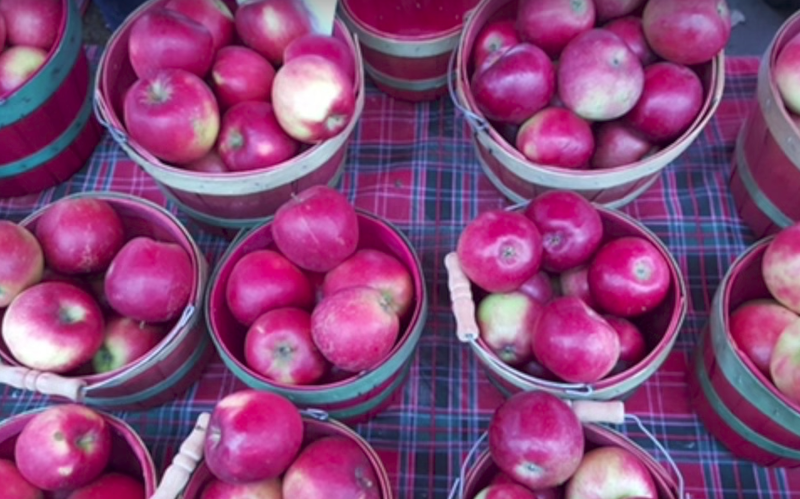 The farmer wants to be able to sell food to all people, but the city is preventing him from doing so at the farmer’s market. At issue is an unconstitutional, unlawful, and complex “sexual orientation” policy that city officials adopted specifically to shut out Steve Tennes and Country Mill Farms—his family’s fruit orchard—purely because he posted on Facebook his belief in biblical marriage. The city did this even though Tennes, his family, and the orchard are in Charlotte, 22 miles from East Lansing, well outside the city’s boundaries and beyond its jurisdiction. After seeing Tennes’ Facebook post from Aug. 24, 2016, city officials went to great lengths to force him out of the farmer’s market. First, they tried to pressure him, telling Country Mill Farms that they did not want the farm at the next scheduled market the following Sunday, that they had received complaints about Tennes’ post, and that protests would occur if Country Mill Farms continued to participate in the market. They urged Country Mill Farms to withdraw immediately, but Tennes persevered and continued to serve the market’s customers. No protests ever took place. When Tennes posted something online about his beliefs again in December 2016, after the close of the market season, the officials decided that his expression conflicted with East Lansing’s marriage views and its policy regarding sexual orientation. But because that policy is codified in the city’s Human Relations Ordinance, which cannot be enforced against Country Mill Farms, the officials crafted a new policy, bypassing its jurisdictional limits under Michigan law, to expel Tennes and his farm from the farmer’s market as punishment for his views. The policy requires vendors to agree to and comply with the city’s “Human Relations Ordinance and its public policy against discrimination…while at the market and as a general business practice.” The ordinance makes it illegal for anyone to “make a statement which indicates that an individual’s patronage or presence at a place of public accommodation… is…unwelcome or unacceptable because of…sexual orientation, gender identity, or expression…,” among other designated classes. Yet it does not define “discriminate” or any of the key terms that would govern enforcement. Based on the new policy, and in response to Country Mill Farms application for the 2017 farmer’s market, an official informed Steve by letter that he was not in compliance and that, therefore, the city was prohibiting him from participating. The notice included an attachment of Steve’s December Facebook post as evidence, despite the fact that the post is constitutionally protected free speech and Country Mill Farms has never turned away a customer based on sexual orientation. The complaint in Country Mill Farms v. City of East Lansing, which ADF attorneys filed in the U.S. District Court for the Western District of Michigan, explains how the city policy violated the Constitution’s guarantees of free speech, freedom of religion, and equal protection—in addition to other protections. It requests that the court restore Country Mill Farms’ constitutionally protected freedoms and prevent a violation of Michigan’s law governing cities. The suit also asks the court to halt the discriminatory policy, declare it unlawful and unconstitutional, and award nominal and compensatory damages, so that Tennes and Country Mill Farms can once again serve all customers at the farmer’s market. What would happen if a gay couple refused a Christian person? ABSOLUTELY NOTHING ! ! ! !" “officials ousted his family business…, city officials went to great lengths…, an official informed…” Who? Who are these anonymous people? What is the name of the government group that they belong to? Why is the press protecting their identities? You have printed the name of their victim, why do you not print the names of those attacking them? Remember the basic 5 W’s of journalism: WHO, what, when, where, why. Yet consistently, government officials are hidden, protected, while they oppress, by a fawning media. How can we vote against these tyrants when the press won’t tell us who they are?